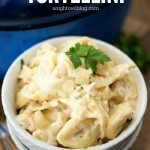 One Pot Chicken Alfredo Tortellini – a delicious and easy meal that you can make in 30 minutes and in just one pot! Hi friends! 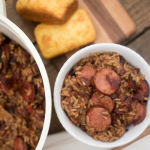 We’ve been on a roll lately in our home, making more and more of our dinners at home. It’s been a nice change as we’re settling in to having baby number 3 in the home and we’re almost getting into a routine of things again. 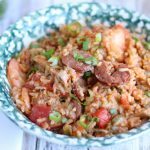 Now, our family favorites are still making it into the weekly rotation, but we’re also trying out a few new things here and there but one thing is consistent – I always make sure they’re quick and easy meals and if they can be made in one pot – even better! One thing that makes dinner much simpler is the ability to find quality sauces that are just as delicious as homemade. 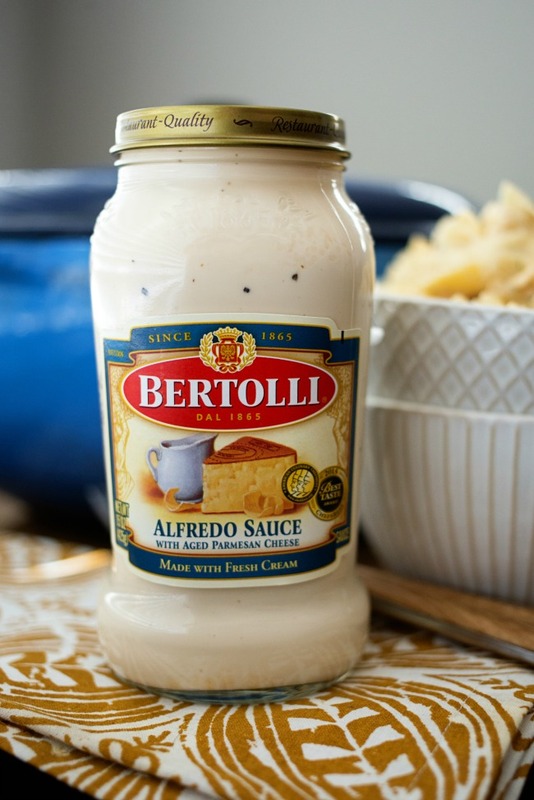 Now you may think that it’s not possible with alfredo sauce, but I would challenge you to give Bertolli Alfredo Sauce with Aged Parmesan Cheese a try! It’s been more than 150 years since Francesco Bertolli began selling his olive oil in the small town of Lucca, Italy. In 1865, Francesco opened a small storefront business selling regional foods such as olive oil, wine, cheese and olives. In the late 1800s, Italian immigrants in America, unable to find the products to which they were accustomed, wrote to Bertolli asking for crates of olive oil. In reply, Bertolli sent orders to America and thus became the first exporter of olive oil. From its beginnings in olive oil, Bertolli today has grown to also include a broad range of Italian-inspired pasta sauce and skillet meals. Today, more than 150 years since Francesco Bertolli began selling his olive oil in Lucca, Italy, the original “Villa Bertolli” at piazza S. Donato still stands – just as Bertolli remains at the heart of the Italian-inspired cuisine enjoyed at home by millions of families around the world. 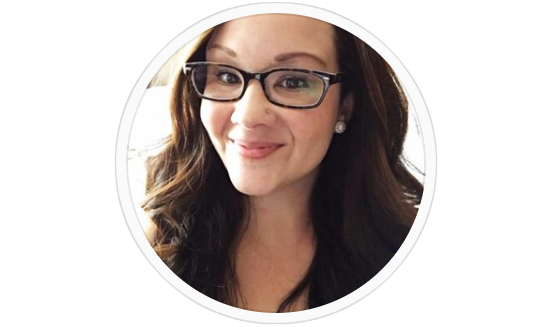 And it is just this passion that makes incorporating Bertolli into our family meals a no brainer! 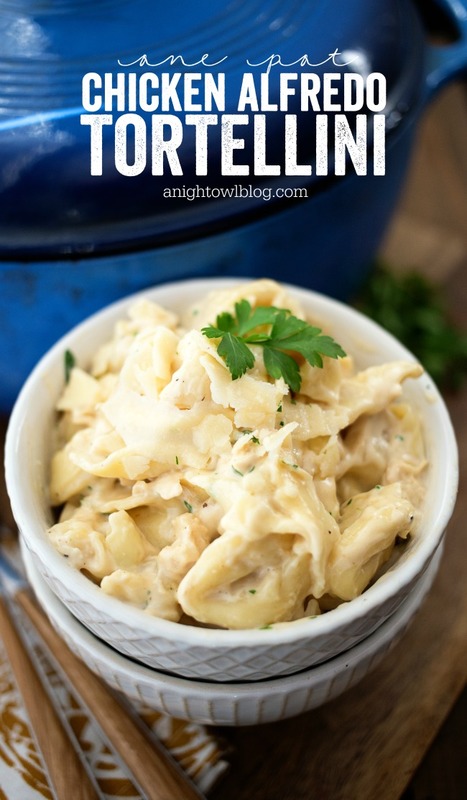 For our One Pot Chicken Alfredo Tortellini, I simply cooked a package of three-cheese tortellini according to the directions included and once complete, set it aside to drain. Then in that same pot I browned a couple of chicken breasts in butter and garlic. Once the chicken was done, I added in the Bertolli Alfredo Sauce and added back the tortellini cooked on medium until heated through. Once complete I added chopped parsley and served with fresh grated parmesan. Cook tortellini according to the directions on package, once complete, set aside to drain. In the same pot, brown chicken pieces in butter and minced garlic. 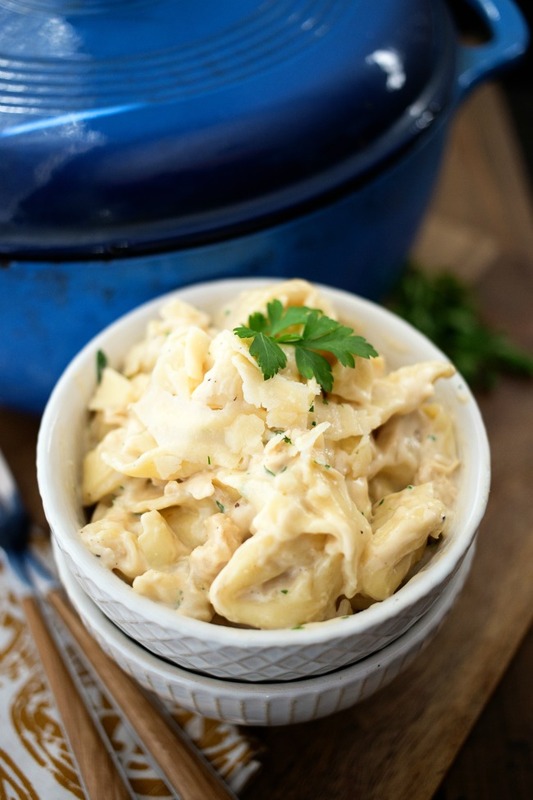 Once chicken is done, add jar of Bertolli Alfredo Sauce and cooked tortellini. Cook on medium until heated through, add fresh chopped parsley and serve with fresh grated parmesan. Delicious! And really the entire meal only took about 30 minutes. Now that’s my kind of meal! 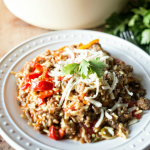 For more meal inspiration, cooking tips and more be sure to visit VillaBertolli.com and follow along on Facebook and Tumblr! 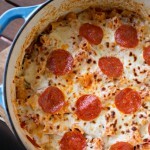 This looks so delicious and easy! My favorite kind of meal!